It's no secret that Chihuahuas are little dogs with big attitudes. Commonly called a big dog in a little dog's body, it's easy to imagine that most Chihuahuas simply suffer from Napoleon Complex. Because of their small frames, Chihuahuas simply have to alert humans and other larger animals know when they're there--if not, they could get stepped or sat on very easily. Aggression towards children, often based out of fear (children do not always know to be gentle with small dogs). Dominant and guarding behavior concerning food. Severely overprotective of owner, not allowing other members of the family near. Cowering and easily threatened (often caused by previous abuse). In these instances, it's important to increase training. You can work with a local dog behavior expert or simply begin by correcting the negative Chihuahua behavior. Do you have tips for dealing with aggressive Chis? Chihuahuas are known for their tiny size, especially when they are puppies. One advantage to their smallness involves the size of their waste--Chihuahua urine comes in small volumes and the excrement looks more like large pellets than hefty dog poo. If you're wondering about how to housebreak your Chihuahua, consider an indoor option. Chihuahuas can easily learn to use indoor house training pads (or "pee pads") that rest on the ground. They can also use litter boxes. Look for scent-formulated puppy training pads. These pads contain a scent that encourages dogs to use them for the intended purpose. A small dog shouldn't be expected to "hold it" all day while you're out of the house working 8-10 hours. Little dogs have to urinate more frequently than large dogs. When let outside on a leash, Chihuahuas can easily fall victim to puppy-snatchers and wildlife such as hawks or gators (depending on your location). It's also easier for them to get hurt than large dogs. Excited Chihuahuas often need to urinate urgently. You can train your dog to head right to the pee pad each time this happens to avoid those yellow droplets on your furniture. Indoor house training pads are easy to dispose. This may sound silly, but Chihuahuas and other small dogs dislike the feeling of grass on their undersides while they are trying to urinate. It's not that hard to imagine the displeasure--after all, you probably wouldn't want something tickling you in the middle of doing business, even if it was a natural object! Indoor house training is a decent alternative to frequent grass-cutting. While dog poo fertilizes your lawn, urination kills it. Having the dog use a pee pad can keep your lawn healthy. Let's face it--Chihuahuas have loud, piercing barks due to their size. 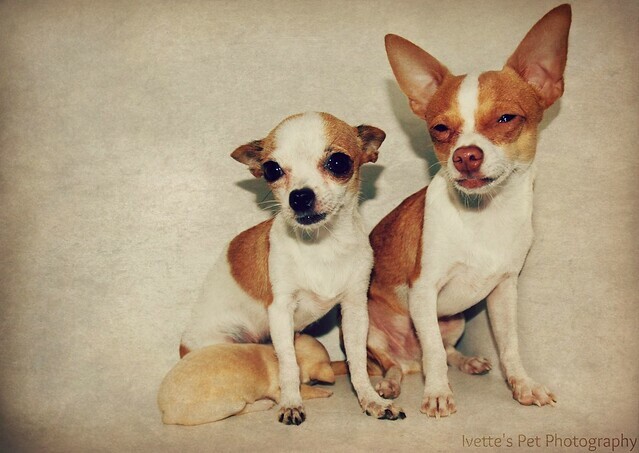 While a Chihuahua's bark means the same thing as a large dog's bark, many dismiss it because Chis are so small. 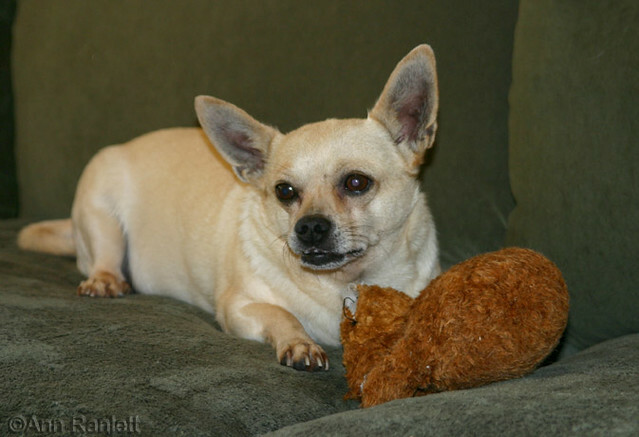 Some people find the Chihuahua bark to be shrill, irritating and even headache-causing. Chihuahuas are one-person dogs. They're also sometimes jealous and protective when it comes to their owners. This has gotten the Chihuahua a reputation for being an hateful ankle-biter, though most Chihuahuas are friendly and affectionate dogs. Folks like Paris Hilton have created stereotypes about Chihuahua owners. Some people think that Chihuahua moms and dads, like their dogs, are only concerned about image and ego. Others think that Chihuahua owners have a psychological illness-- a need to be depended upon by a helpless being (if that's the case, who knows what they think about parenting human children). Chihuahuas like to be top dogs. As a result, sometimes they bully large breeds into running away, tail between legs. This can be embarrassing for the average Doberman or American Staffordshire Terrier owner, so they hate on the small dog. Many people who "hate" Chihuahuas state a preference for larger dogs. These people prefer rough play and wrestling with their dogs, so obviously a fragile Chihuahua is not the dog of preference for them. Some believe that it's not worth owning a dog if the dog isn't able to catch a Frisbee or run several miles. While these "reasons to hate" do apply to some Chihuahuas and their owners, it seems that many people have a difficult time imagining the world from a little dog's point of view. If most creatures and objects were several times your size, how would you react? Please feel free to add comments or additional stereotypes here. When it comes time for you to move, your Chihuahua will come with you. Fortunately, it's easy to find apartments and housing communities that allow small dogs--but to safely relocate, your dog may have to learn some new rules. You can help your Chihuahua by teaching her a few simple tasks before relocating. Crate training. Since Chihuahuas are small, most owners don't crate train them or require them to sleep in cages. Even when in public, most Chihuahuas are safe and content in an owner's doggy purse. When you relocate, your dog will need to remain in a crate in transit. Most airlines will allow you to keep your Chihuahua with you if the dog can remain calm in a crate. Start by crating your dog at night. Let him know that the crate isn't a punishment by placing a small blanket and toys in the crate. Reward your Chihuahua with a treat when she enters the crate. The crate also offers stability to the dog. Your Chi's crate will look and smell the same in your old home, in transit and at your new home. While moving boxes and furniture in, you should also keep your Chihuahua crated for his own safety. Pack immediate basics. Toothpaste, your current read and your favorite comfy clothes: these are things you'll pack separately from other objects. When you arrive at your destination, you'll want to know where they are because you use them all the time. The same holds true for your dog. Your Chihuahua will adjust well to her new home if she receives the same dog food, food bowls and toys she had back at her old home. If you want to change any of these things, wait until your dog settles down. Dogs need comforts, too! Meeting others. You can also work on your dog's social skills before you relocate. Your Chihuahua is familiar with your neighbors and most of the dogs at the dog park--but what about in his new space? Get in the habit of introducing him to new people and dogs prior to moving to avoid social conflicts at the new home. Basic needs. Don't forget that your Chihuahua is small. Especially if you use puppy pads, you may not realize how frequently a small dog needs to relieve himself. Chihuahuas also need to remain hydrated and monitored for nervous behavior. Don't forget your dog's basic needs during the moving process. Your Chihuahua may seem confused or reticent after you relocate with her. Do your best to show her that you are comfortable in your new home and there to offer her affection. Offering your dog familiar toys and food will help her adjust. With your presence and leadership, the dog should adjust in a few days to a week. 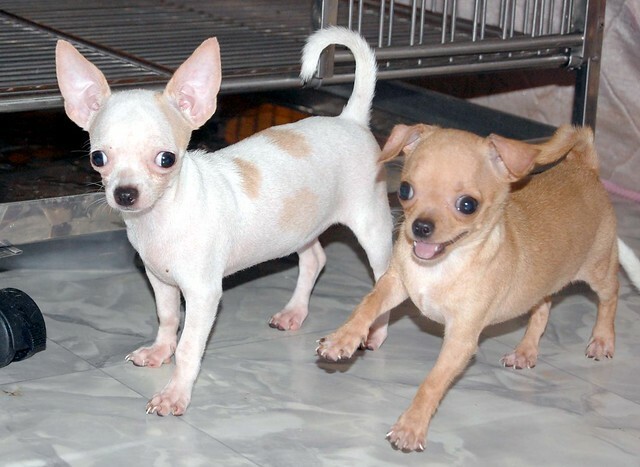 Chihuahuas are full of energy, but they're also small, frail dogs. The recent death of John Travolta's dogs brings up many points about dog safety in public. While the incident involving these dogs was certainly deemed an accident, it creates a positive forum of discussion for dog safety issues. In the airport: Keep your Chihuahua crated. Chihuahuas are extremely excitable dogs. Though they love to meet new people and other animals, new environments are very stimulating to Chis. Keep your dog in her crate and at your side whenever possible. Most airlines allow very small pets (including Chihuahuas) to accompany you in the passenger cabin so long as they are well-behaved. In the car: Your dog may be accustomed to having a great time in your car--bouncing everywhere and licking family members. However, Chihuahuas are at risk of severe injury if you are involved in a car accident. You should keep your Chihuahua in a dog car seat hooked in to the back seat. Do not safety-belt your Chihuahua; instead use a veterinarian-approved safety seat. When you stop at a rest area, it's acceptable to let your dog urinate or defecate on the grassy areas, but be sure to bring bags along to dispose of the solids in a nearby waste bin. Keep watch for other dogs nearby that may be aggressive towards your Chihuahua. Never leave your dog in a car alone with the windows rolled up--he could get hot and potentially die as a result. On a train: Many train systems have the same rules as airplanes for pets; so long as your Chihuahua is not a distraction, you are free to bring her aboard and keep her crated. Pay special attention to the amount of time spent at each train stop. Long train rides usually have a long stop in the middle. Take this opportunity to take your dog outside. Most importantly, always use a leash and keep watch. It may sound impossible, but even hawks and other animals like to prey on small dogs.